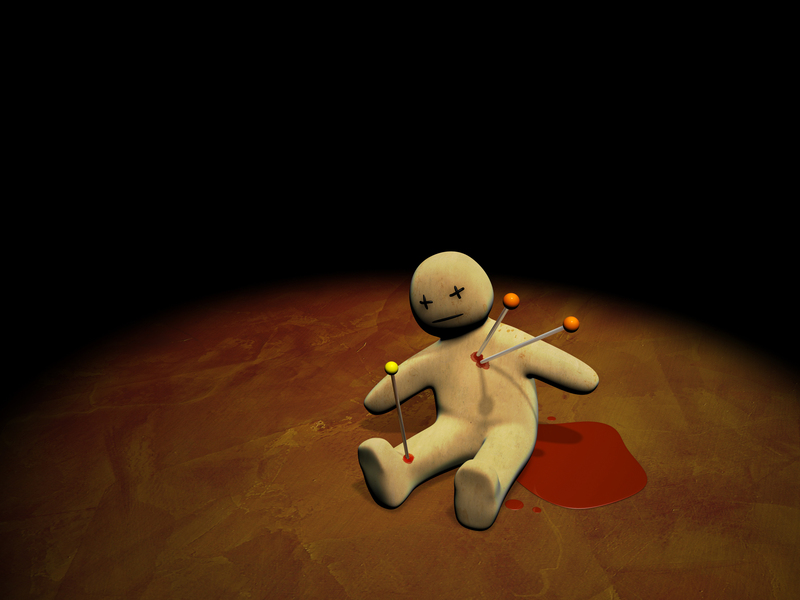 Please place the voodoo doll on the floor at your feet. Please don't drop it! I don't want the needles going in any farther. Once the doll is on the ground, please step back slowly, we have a bomb disposal unit coming. Yeah, I thought I was pretty slick. No one will notice I've been quiet on social media. No one will notice the Wild Hunt launch went by without its usual fanfare. Yeah, I thought I was pretty slick, but some of you are slicker. About a month ago, my left hip got sore. I have a Personal Monster (tm) (rheumatoid arthritis) which has used that hip as a playground in the past so I ignored it (as any good Viking would...). After 2 weeks, the pain had increased and was showing no signs of backing off. I visited my PCP and things went downhill from there (not because I visited the PCP) and I began to suffer the second worst pain of my life. I couldn't sit, stand, or lie down without massive amounts of high-intensity pain and lots of pain meds. After a series of X-rays and an MRI, I was diagnosed with avascular necrosis of the femoral head. Basically, through a process that is not well understood, blood flow to the head of my left femur was interrupted and part of the bone died. Then, my body went into super-save-it mode and flooded the rest of the femoral head with fresh blood, which softened the bone. AVN is rare (10,000 to 20,000 cases per year in the US) and can't be cured (of course). There are treatment options, one of which stops the disease dead (pun intended) in its tracks, and that treatment is a total hip replacement. I'll be on 0% weight-bearing status for at least the next month, and if all goes well, the 0% weight bearing will be extended by another 4-6 weeks after that. All of that is to give my body time to stop freaking out, to stop flooding my femoral head with blood, and to allow the bone to re-harden. The hope is that after the bone has re-hardened, I'll be able to go on living with my hip for a while longer yet (hopefully years and years). If, however, the bone is too bent out of shape, then I'll be doing the hip replacement. So what does that mean for my writing? I'd love to say there will be no impact, but it's already had an impact. I'm in a wheelchair (and have discovered my "fully ADA compliant house" was designed by people who had never heard of wheelchairs), and we're having to make new accommodations due to that. I'm also on very strong pain meds and not sleeping well, so there's that to contend with as well. Don't get me wrong--I'm still going to be writing, of that there's little doubt. It's just going slowly at the moment. Supergirl? Supergirl is throwing her spear and barging her shield at everything that gets in my way. I'll have to start calling her Super-supergirl here in a minute.